This website is a FREE scheduling tool created exclusively by and for pickleballers! Using this site, you will be able to create and join play sessions with other players in your area. No more endless group texts or emails! 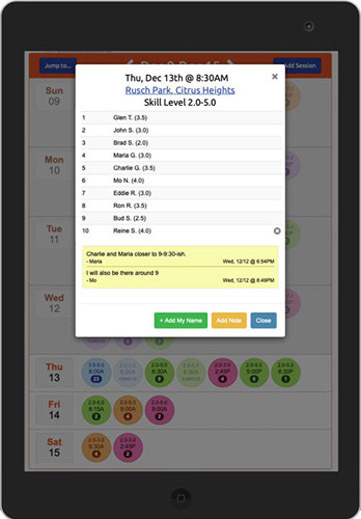 PlayTime lets you easily locate or schedule games whenever you want. Is your region not covered? No problem! Click here to submit a request. It's free and easy to get started. We can also help you earn money for your club or organization.